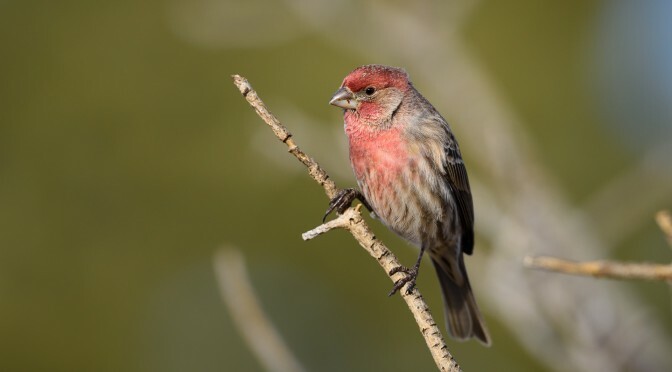 Male house finch, Fountain Colorado. Nikon 500mm f/4 AFS G VR lens and Nikon D810. 1/1600s @ f/4.5, ISO 360. Spring is still a ways off here in the Rockies, but I did take advantage of some recent nice weather to field test my new Nikon 500mm f/4 AFS G VR Nikkor telephoto lens. In case you missed it, I switched to this lens recently after selling my 600mm f/4 VR. You can check out my podcast to hear about my rationale for switching. I hit up the local nature center, where numerous bird feeders are set up. 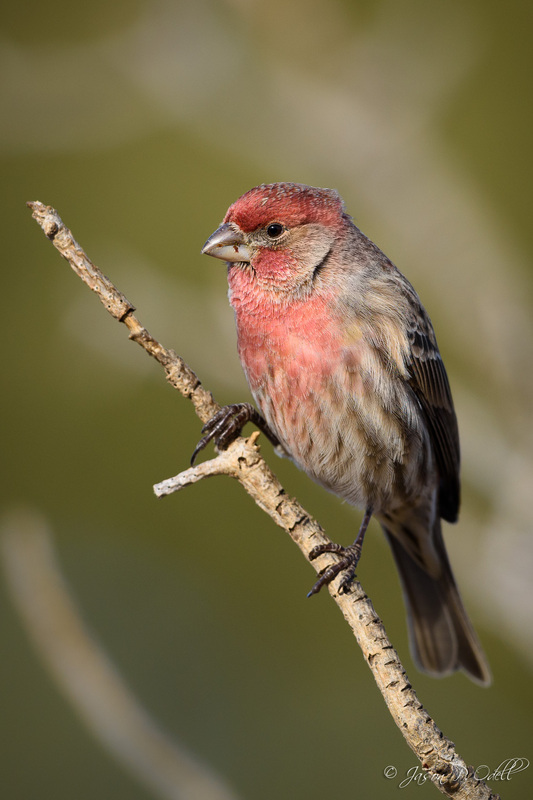 We don’t get much in the way of colorful birds here at this time of year, but the small ones are out in force, including chickadees, house finches, juncos, and the occasional woodpecker. I put the D810 on the lens, rigged up the Wimberley gimbal head, and staked out the feeder. I shot everything either wide-open or at f/4.5 (1/3 stop down) to see how well this lens would do. In nature photography, it’s important to be able to shoot as close to wide-open as possible to get smooth backgrounds and maximize your shutter speed. Also, the better a lens performs wide-open, the better it will do when paired with a teleconverter. I haven’t yet gotten around to testing the 500VR with the new TC-14EIII, but that test is forthcoming. With the D810, I can use the in-camera crop modes instead of a TC, with the added benefit of being able to quickly switch crop modes on the fly. Of course, you can always choose to crop later, which can be a useful tool when shooting moving animals. Sometimes I want to compose loosely because the animal’s movement is unpredictable. As a quick aside, what you can see from the above chart is that with the Nikon D810 (or D800/e) my 500mm lens can be used as a 500 (FX), 600 (1.2x) or 750mm (DX) equivalent angle of view and still deliver images that match or exceed the resolution of my Nikon D4. The only drawback, of course, is that the D810 can’t shoot 10fps. Here are a couple images I grabbed with the D810 and 500mm f/4 AFS G VR Nikkor. Click on an image to enlarge it. 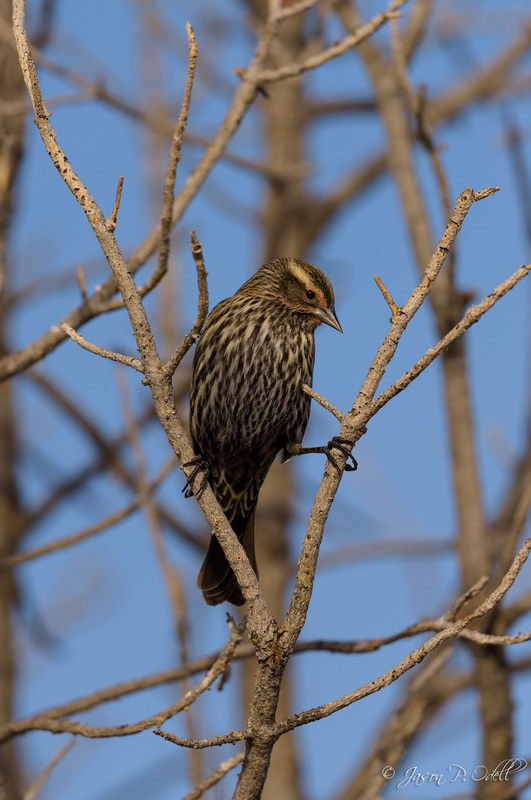 I was approximately 20-25 feet (6-7m) from these birds when I captured the images. 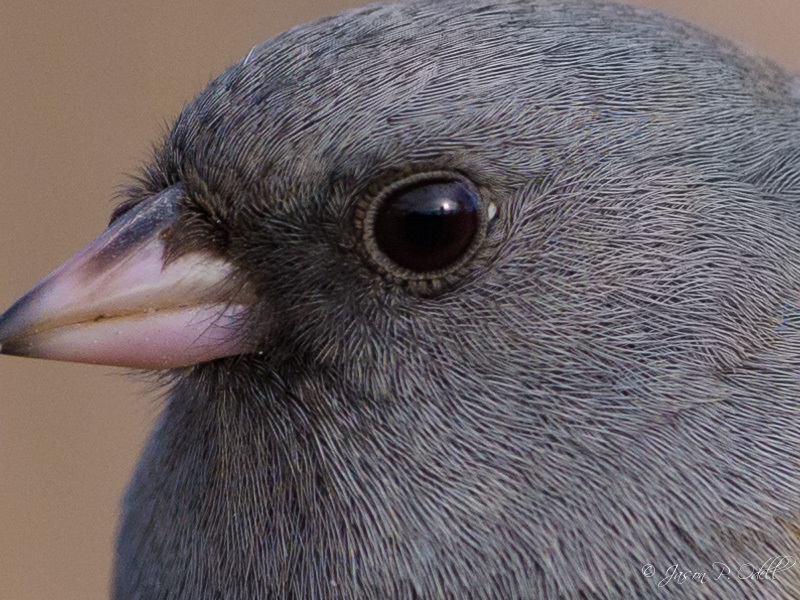 Dark-eyed junco, full frame image in FX crop, 1/1600s @f/4.0. 1:1 crop of original image. 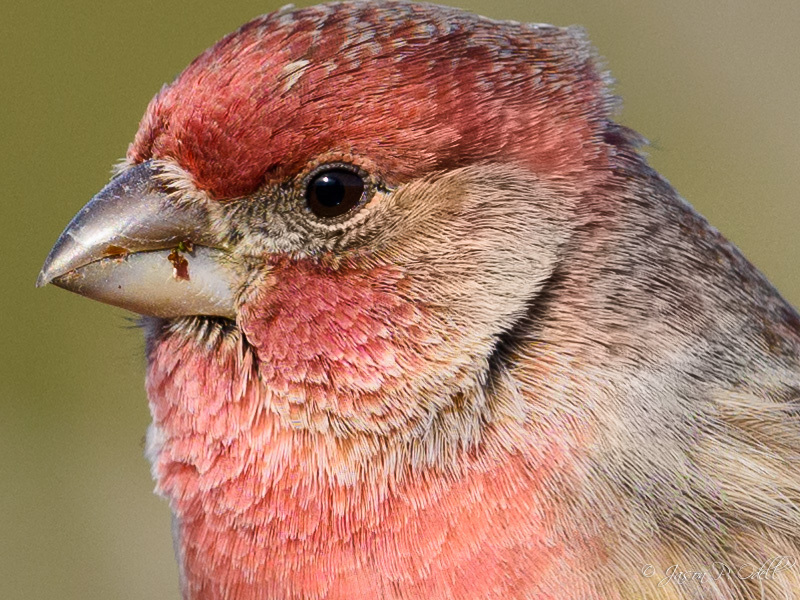 The Nikon 500mm f/4 AFS G VR is one sharp lens. My subjective opinion is that it’s slightly sharper than the Nikon 600mm f/4 AFS G VR. 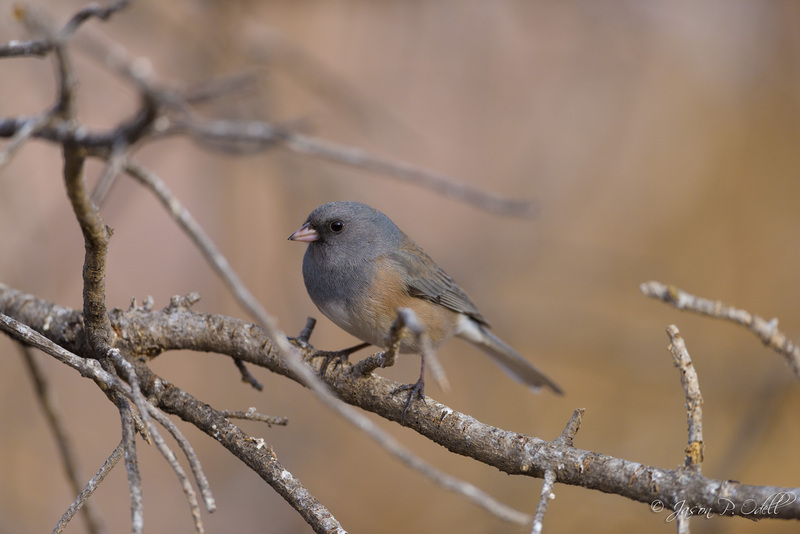 When paired with the 36MP Nikon D810 DSLR, you have a very versatile telephoto lens, even without a teleconverter. It delivers smooth out of focus backgrounds and offers stabilization for times when you need to use slower shutter speeds or a monopod. It’s light enough (8 lbs) to hand-hold for short intervals, or mount on a Wimberley Sidekick (although I still prefer the full Wimberley gimbal head). You also don’t need a massive tripod to support it (a 3-series Gitzo carbon fiber tripod is plenty). With the 600mm lens, you definitely want to use a more robust tripod (5-series Gitzo or similar) and a full gimbal head. You can also dismiss any idea of hand-holding it unless you routinely pump iron. If you have unlimited resources, the hands-down sharpness winner (based on my reading the specs) is probably the 400mm f/2.8E FL ED VR Nikkor, but that’s a $12,000 piece of glass! Nevertheless, if you have that kind of cash lying around, pair it with a D810 and you can use crop modes to get 400/480/600mm equivalent angles of view without a TC. 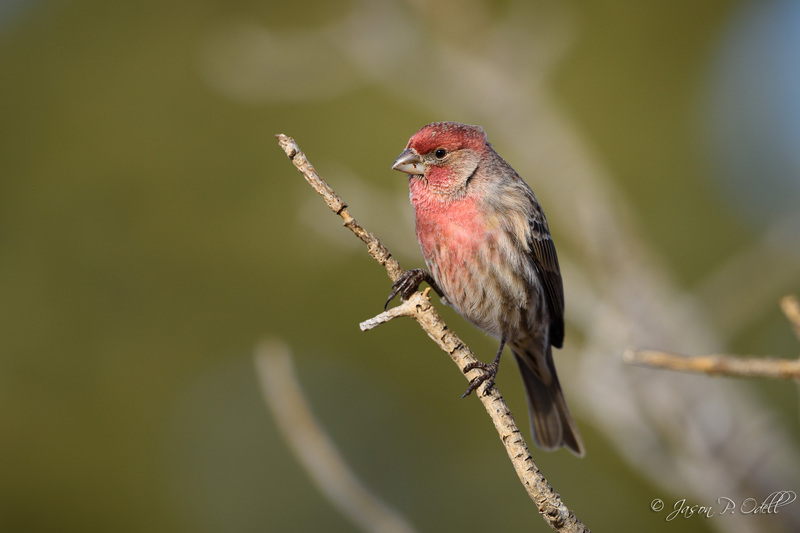 Join me on a birding photo safari this spring and get frame-filling shots of birds in action! Shoot from private blinds in the Rio Grande Valley; includes meals and lodging! Very interesting. I have not been happy with my 600mm Nikor in terms of sharpness either. I have a question that nobody can answer to my satisfaction. Which has higher resolution- DX crop mode or cropping it 100% afterwards? Other question is the 400mm f2.8 paired with TC-2III the sharpest out there at 800mm equivalent? Jason, did you do any af fine tuning? How about post processing? How do you sharpen? I just got the D810 and I have the 500 mm. I am trying to dial in the D810, 500mm and the 1.4 III. Some pictures look pretty good not tack sharp but pretty good. Looking forward to your review of that combo. Thank you. 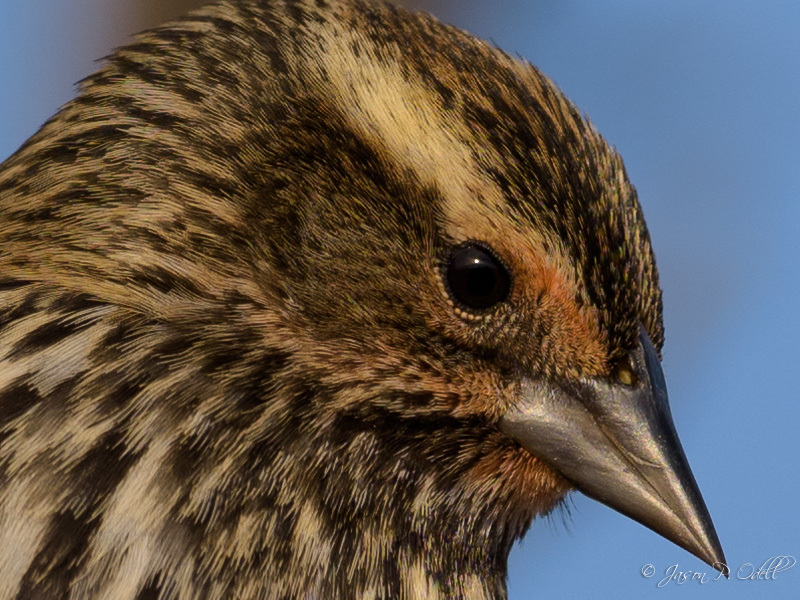 I did not need any AF fine-tuning with the 500mm f/4. However, I am finding that I need it when I pair it with my TC-14EIII. I sharpen in LR using a starting point of 30/1.2/40/0. Don’t get me wrong, the 600/4 VR is very sharp, but I see a slight improvement shooting wide-open with the 500/4 VR. As to your other question, resolution is simply the # of pixels in the image. So cropping via DX crop mode is the same as cropping in post, provided you don’t resample the image. I’ve never used the 400/2.8, but the new one (the $11k version) has the most sick MTF chart I’ve ever seen. My guess is that it would be damn good even with a TC-20EIII. now being the sharpest lens of the new 3 super telephoto’s?